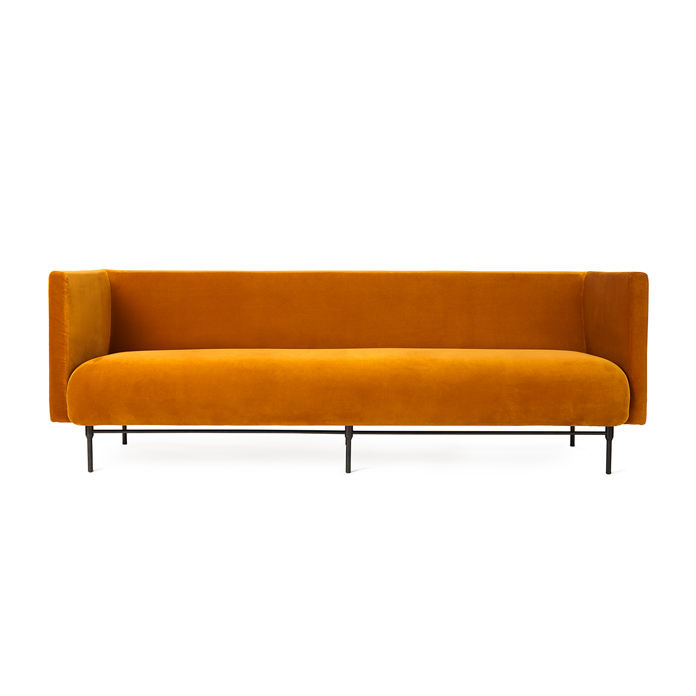 Luxurious 3-seater sofa with an elegant, attractive idiom, created by the talented Danish designer, Rikke Frost. Galore exudes the decadence of yesteryear in a contemporary interpretation, adding ambience and texture to any modern interior. 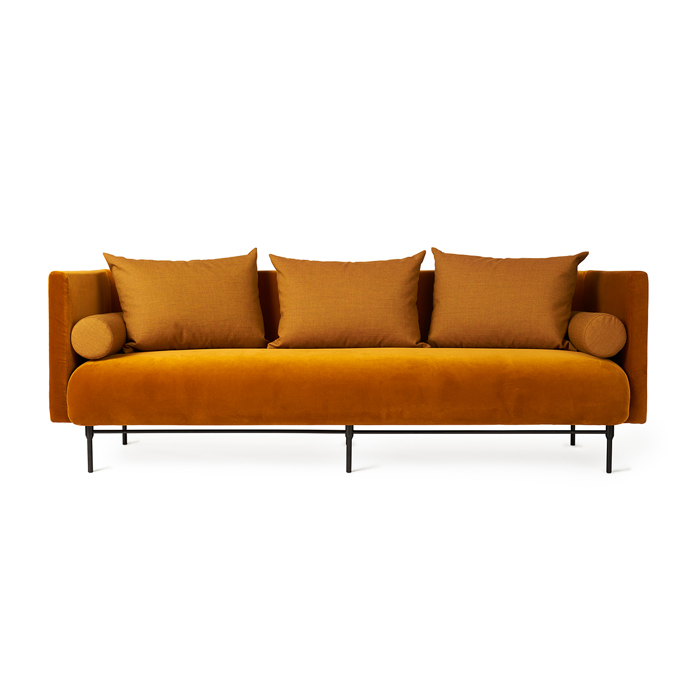 Depending on your character and temperament and the other accessories in the living room, the Galore sofa can be styled in various ways: ranging from a crisp, elegant look to a relaxed, luxurious approach with an abundance of soft cushions. Rikke Frost’s Grace pouffe would make the perfect complement or, for extra comfort and elegance, you can extend the sofa with a pouffe in the same range. 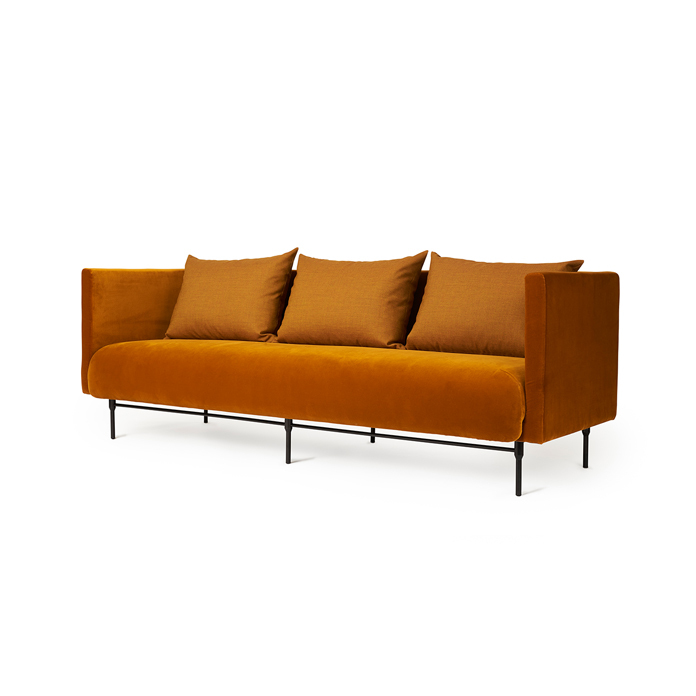 The legs give the Galore sofa a light, floating look, and the classic design universe is enhanced by historic cushions and stitching details that complete the luxurious appearance. 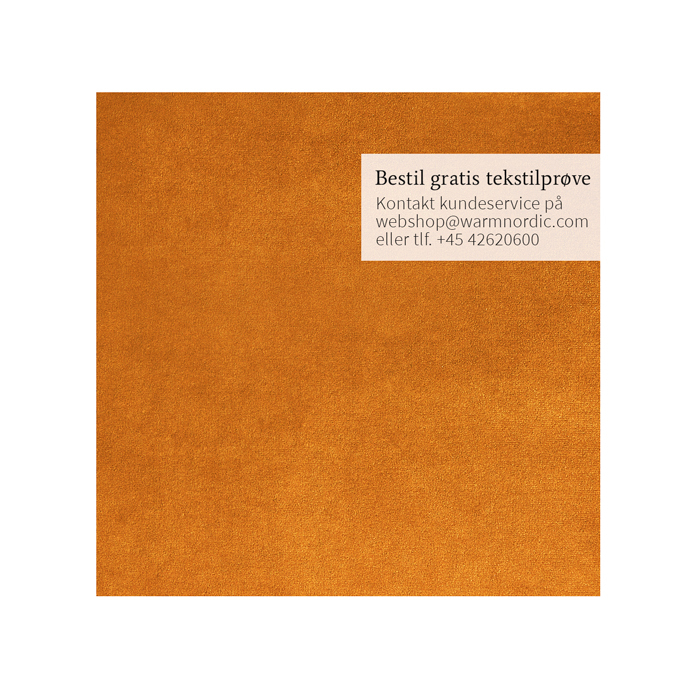 Choose from several different exclusive fabrics in exquisite Warm Nordic shades and stunning combinations. Galore cushions in in various shapes and sizes is an additional purchase. 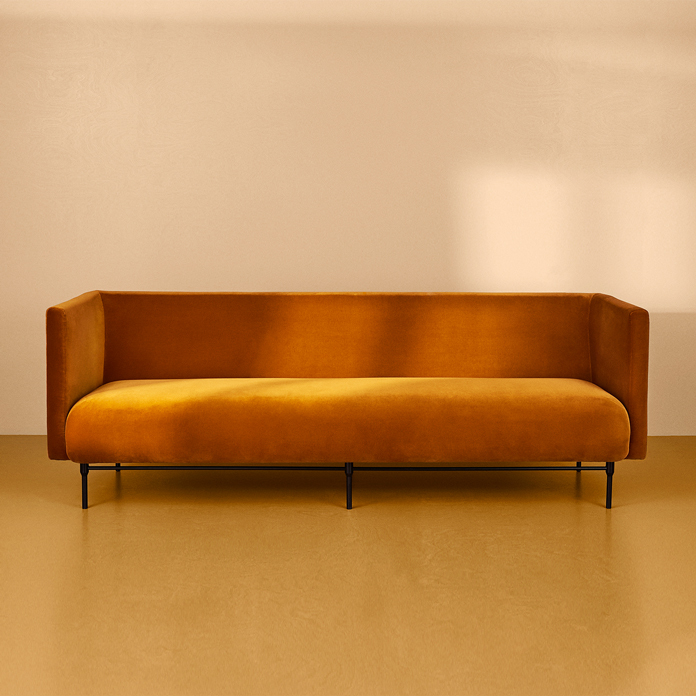 Rikke Frost drew her inspiration for the Galore sofa from the captivating decadence of the 1920s, something you still find in the world’s most prestigious historic hotels. Galore embraces that hotel feeling of warmth, indulgence and luxury with its soft design and exclusive choice of materials. 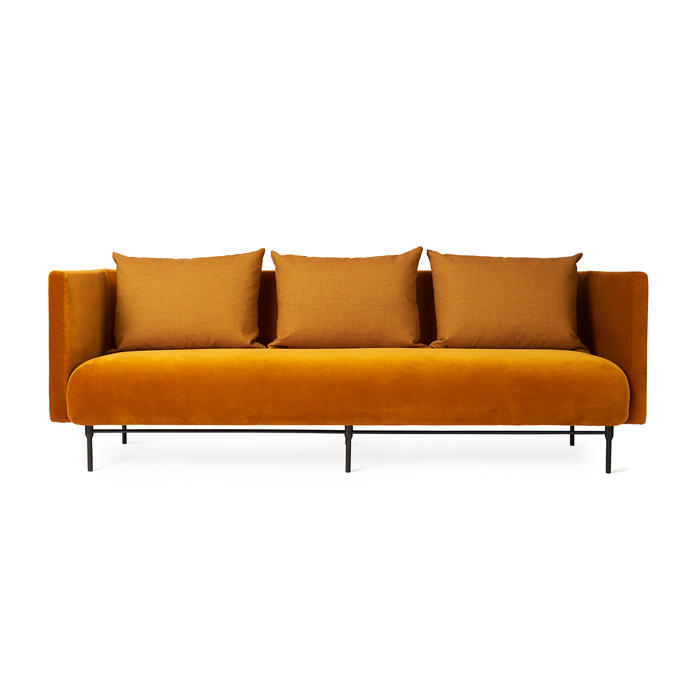 The sofa is part of a range, which also features a modular sofa and the Grace pouffe in Rikke Frost’s luxurious design.